It’s no secret. Women love our Pickering gym. And why not? Our services and amenities are the best in Pickering, featuring new equipment, exciting group classes, youth fitness, onsite childcare, and more. Every age and fitness level will appreciate the single station cardio and strength training equipment our Pickering health club has to offer. Each aerobic machine is equipped with televisions, so you can enjoy your favorite program while you improve your heart health and burn calories. Tone and define your muscles on our free weights, bench presses and squat machines. Dance to zumba, work it with HIIT (high intensity interval training) or take it down a notch with the mindfulness of yoga and pilates group training classes. We’re about your whole body, too, and we haven’t forgotten the important elements of relaxation and nutrition. Our clean and private locker rooms feature a dry sauna — a great way to detox and relax. Learn how to prepare healthy and delicious meals with our nutritional counseling. 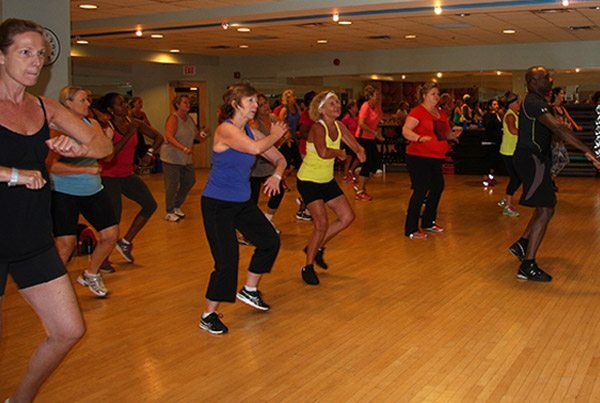 Our Womens Fitness Clubs of Canada Pickering is all about women. Enjoy working out with others who want to take charge of their health. Sign up for our Free 3 Day Pass and give us a try today!